Cold days call for hot drinks and nothing will warm you up faster than a spiked cup of coffee, cocoa or tea. From a new take on the famous Irish coffee to a fresh spin on the hot toddy, there is sure to be a comfy cocktail that's right for you. Before we get to the drinks, let's discuss the mug. That steaming hot drink is great, but it can become a lukewarm mess before you finish. You can keep your hot cocktails warm longer by pre-heating the glass. It's very easy, takes just a minute and there are a few ways to go about it. Heat water in a teapot and pour it into the glass while you prepare the drink. Warm a water-filled glass in the microwave for 20 to 30 seconds. As a last resort, run hot water over the mug. Matching drink and glass temperatures are one of those easy steps to better your cocktails, and it is a good habit to get into. Topping the list of hot coffee cocktails is the iconic Irish Coffee — and it is more than a shot of Irish whiskey in your coffee mug. There's an art to it and it's a fantastic foundation to make with more coffee cocktails. 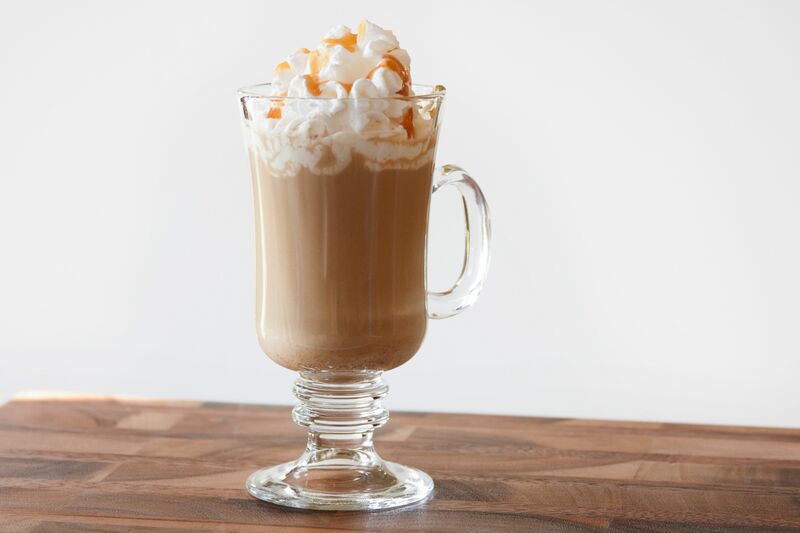 An indulgent take on that classic is the caramel Irish coffee. This recipe adds butterscotch schnapps and Baileys Irish cream to the mix. The result is a luscious, sweet and soothing coffee cocktail that deserves a heaping pile of whipped cream. A fine cachaça and chocolate liqueur combine for the most interesting coffee you've had yet. The café Brasileiro is both simple and satisfying and definitely worth a try. Whatever you add to it, you cannot have a spectacular coffee cocktail without great coffee. The best come from quality coffee beans that are brewed to create a thick, rich cup. Do yourself a favor and opt for a French press or Aeropress. They're low-tech solutions that will instantly improve your coffee game. Even espresso can handle a spirit or two. In this case, it's a rich double-chocolate liqueur from Dorda and a hint of amaretto. The flavor combination is amazing and it may soon become a new favorite recipe. Similar to the low-tech coffee options, you don't need an espresso machine. An inexpensive moka pot can brew an espresso-like cup right on your stove top. You can even froth milk with standard kitchen tools, so do it up because this drink should not be missed. A great cognac, a spiced syrup and little vanilla are a great way to improve your hot chocolate. It's incredibly easy and you'll find plenty of other drinks to use that homemade brown sugar simple syrup in. It's important to note that there is a difference between hot chocolate and hot cocoa. Hot chocolate is made with melted chocolate and hot cocoa is made from a powder. Any hot spiked chocolate drink can be made with either, but it is hard to beat the richness of real hot chocolate. The hot toddy has long been an icon in the cocktail scene. It's a fantastic drink with so many options. Tea or no tea; brandy, whiskey or rum; honey or sugar: there are many things you can do with the mix. One option is to follow this warm old-fashioned recipe. It's as if a toddy and an old-fashioned had a baby and he is a darling of a drink. The steaming cup of bourbon accented with fruit and bitters is both memorable and comforting. Hot tea mixed drinks are a lighter way to enjoy a warm drink on a cold day. There are many types of tea you can use and recipes will often include recommendations. Can a great tea cocktail be as simple as adding a splash of Baileys to your masala chai? Yes, it can! Consider the Irish cream as a substitute for your chai's milk and enjoy the warm, intoxicating transformation. Your grandma may have recommended a steaming cup of milk before bed, and she was onto something. We're going to make that a little better and give it an adult twist. The ultimate nightcap is a warmed glass of milk with a shot of Benedictine. That's all you need for the famous milk and honey, though if you want to enjoy a more elaborate milk punch, try the classic Tom and Jerry. It's perfect for holiday parties. Mulled wine is fantastic, but it's been done a million times. Add a hint of pomegranate to the mix and share this delightful remake with family and friends. Everyone will love the mulled pomegranate warmer and you'll love how easy it is. You can think of the recipe as a warm sangria with a few mulling spices. That's essentially all it is and — just like any sangria — it's a matter of simply tossing all the ingredients together then waiting for those inviting flavors to marry. Hot apple cider is comforting on its own, but it is even better when it's spiked and spiced. If you're looking for an easy hot party drink recipe to mix up for a crowd, this steaming brew is the ultimate hot cider recipe and it's one everyone loves. Cinnamon schnapps, dark rum and a slew of warm spices complete the simple mix. It can be made on your stove top or heated in your slow cooker and left to warm all day. It also makes your home smell divine. If you have not enjoyed a cup of warm ginger beer, you're in for a real treat. It is what makes the Christmas mule such a fabulous drink and the heat enhances the bubbly, spicy brew in amazing fashion. Similar to the Moscow mule, this recipe requires just three ingredients. You'll enjoy how a pear vodka interacts with the steaming ginger beer and a single cinnamon stick brings in another layer of flavor. It can easily be a drink you enjoy beyond the holidays.